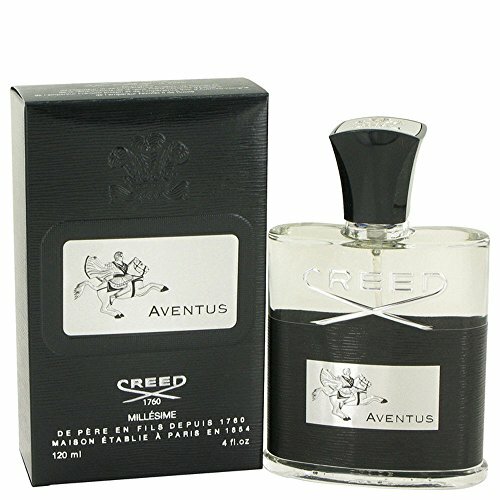 In this article we’ll be looking at my review of the Creed Aventus mens cologne fragrance. Makers of colognes are also like artists. They draw inspiration from people, nature and even history like the Creed Aventus Eau de Parfum Spray. The maker of the brand, Oliver Creed, presented in 2010 its Aventus Cologne. What makes this cologne distinct and very unique is that its maker found inspiration from the historical figure Napoleon Bonaparte. The creator of the cologne drew inspiration from the remarkable qualities of the French emperor: audacious, gallant and bold. The set of qualities every man wants to have. When the product was released, it has become of the brand’s bet-selling colognes. This is how the product is marketed but how does it fare compared to other colognes? It Gives You That Long Lasting Fragrance Since It Can Last For Several Hours. The Creed Aventus is a classic piece that portrays the masculinity and virulent strength of men. The moment you smell the scent right when you open the bottle, the scent of the pineapple is very striking which is very unique. The brand uses pineapple as the top note which explains why it is the very first scent that you smell. It is then mixed with other aromatic elements like louisiana, jasmine and patchouli for its middle notes and amber, oakmoss and vanilla for its base notes. Even the package looks very exquisite and gallant with the cologne packaged in all black which makes it a very sophisticated and classic fragrance suitable for men of all ages. Simply by looking at the cologne package alone, this appears to be a very enticing choice of scent. Now, how about the over-all scent quality? Composition: When you open the bottle, it gives you that strong punch of pineapple, a kind of scent that is very juicy followed by the freshness scent of apple and bergamot which gives that very sharp and striking scent to its composition. It has that fruity blast with a smoky note coming from the birch which gives solidity to this cologne. The combination of these elements makes the Creed Aventus different above the rest. After the fruit blast at the onset, the smoky notes kick followed by a vanilla and earthy scent which gives you that natural yet bold and strong fragrance, something that completely imbibes the nature of a man. Men across all ages will like what this scent has to offer. When to Wear It: Creed Aventus is perfect for any occasion.This is your type of fragrance that you can wear in the daytime and all through the night. Personally, I prefer wearing the Aventus during summer with its fruity and smoky scent. During the winter season, you may want to have a much heavier scent, a fragrance that is much warmer. But if you are looking for a to go cologne that is suitable for any occasion at any time of the day, I can say that the you will never go wrong in using Creed Aventus. Longevity: How about its longevity? What you will like about Aventus is that its fragrance has lasting power. It stays and it lingers for several hours which makes it a great cologne even for daily use. Unlike other colognes where you have to spray more, this cologne is long lasting. Not only do you have a great smelling cologne, it can last long which is without a doubt a nice combination especially if you are looking for a value for money signature cologne. I must say that the Creed Aventus is one of my top favorites. It gives you that classic signature with a blend of sophistication and modernity that you don’t usually find in most colognes today. The very inspiration of which the maker of this cologne drew inspiration from is a notable figure in history and you can find these qualities and elements in this cologne which is very unique. From its rich pineapple top note that blends well with the rich fragrance of the other elements combined, you get to have that really nice scent that has an appeal. A quite rare scent that makes you stand out in a crowd. Is this cologne worth the purchase? Definitely! It gives you a classic and modern twist of fragrance which is suitable for a royalty.